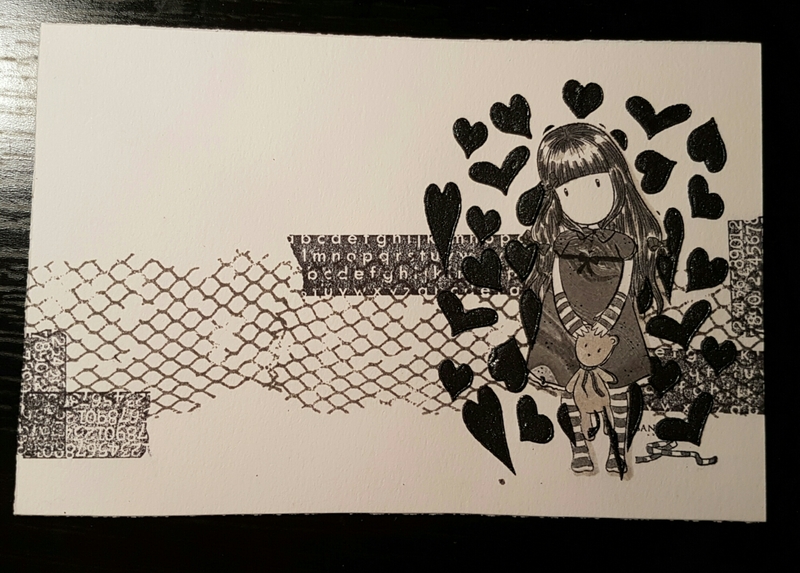 I joined in the postcard art exchange again this month. The theme was Monochrome and I must admit I struggled to think of what to do at first but then I saw the Gorjuss stamp I bought sitting on my desk begging to be used! So this was masking and over stamping and paper piecing and fun stencil play! At this point the texture paste (iridescent medium mixed with black gesso) needed to dry so it was a good time to take a picture. 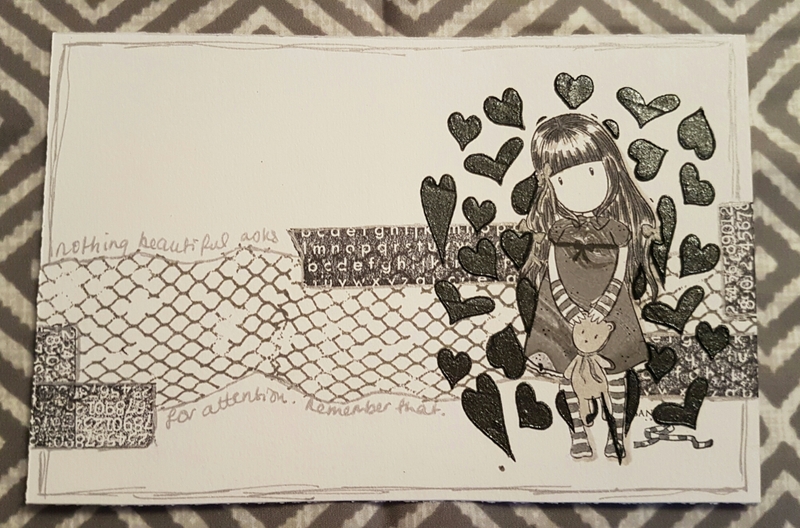 I used the lovely Ghoulish Grunge and Tape it stamps to add the background stamping and then the creative impressions mini stencil for the hearts. I finished it off with a silver pen… and a little quote. Love how this turns out and enjoyed playing with the limited colour scheme. Paperartsy challenge … and for ATC’S sake … 38 – 43 !!! Crafting at Helen’s retreat … oh so succulent!